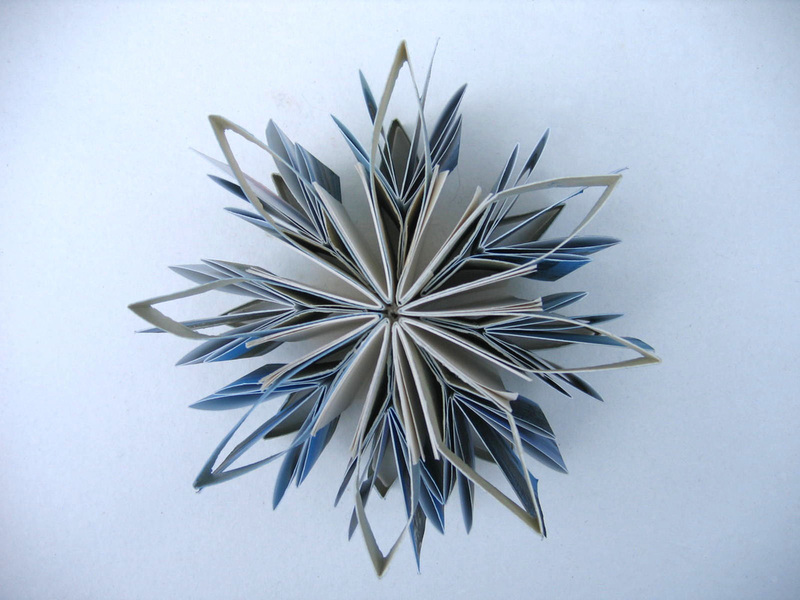 The Snowflake Book is a star book that has been sewn open. The circular structure matches the content, that of a round trip through the Canadian Rockies. 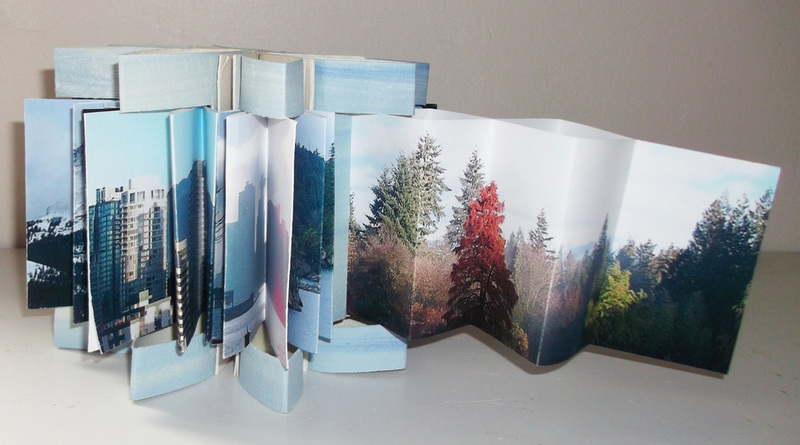 Each point of the snowflake holds a panoramic photograph manipulated into a concertina, because of the way each one is held into the book it literally 'snaps' open when pulled. The white pages are to hold the notes taken whilst on the trip.